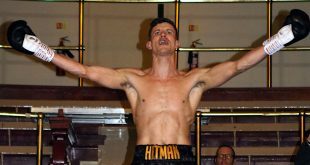 Friday night at the Robin Park Arena in Wigan, England Frank Maloney promoted a fight night headlined by the clash between Jamie Moore of Salford, Manchester, and Italian Michele Piccirillo, as they slugged it out for the vacant European Light Middleweight title. 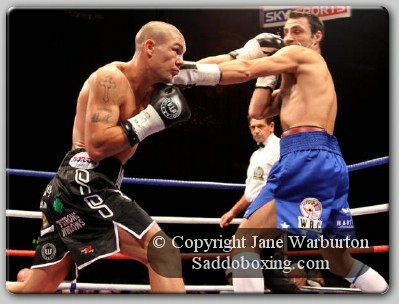 Southpaw ‘Mooresy’ whips out the left straight away while a more cautious Piccirillo susses him out. Mid-way through the frame, Moore catches Piccirillo with a double left to the face and the Italian's head rocks back from the blows. Moore sticks in a sweet left hook to the body and the Italian ‘feels it’. A straight right lands to the chin of Piccirillo in the last half-minute and the Italian looks fazed and unsettled. In the opening half minute of round two, Piccirillo goes down to the canvas - but whether it was from a shot is debatable - as it looked as if he over-balanced after a punch that slipped across the head. He is given the count and fighting continues. “Who are ya? Who are ya? ", the crowd chants. 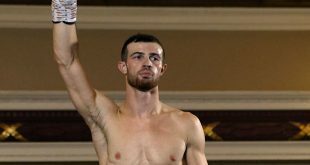 A good right lands flush on the nose of the Italian, then moments later Moore lands a solid left hook to the face of Piccirillo and the former IBF Welterweight Champ goes down to the canvas with 45 seconds remaining. Piccirillo beats the count but Moore piles on the pressure, landing accurately and Piccirillo looks stunned as he walks back to his corner at the end of the second. Moore lands a big right as they start round three, body shots follow and the Italian is pressured against the ropes. A left hook to the head followed by a left body-shot from Moore sees Piccirillo turn away - dropping to his knees in the corner. Spitting out his gumshield, Piccirillo doesn’t get up from the count and Moore sprints across the ring, punching the air in jubilation. 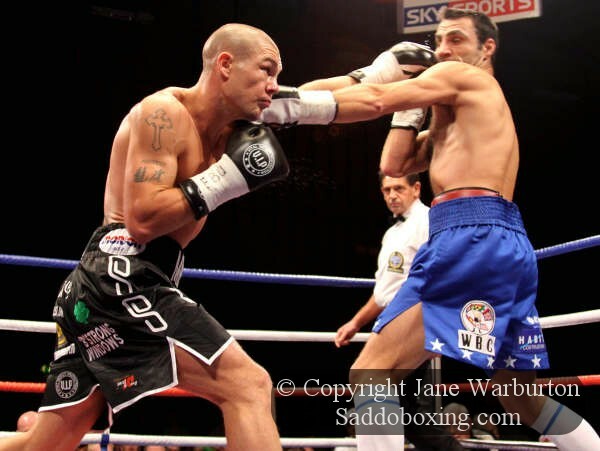 Jamie Moore wins the European Light Middleweight title by third round knockout. 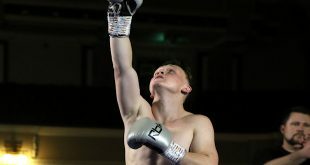 Afterward, speaking to Sky Sports Presenter Adam Smith, Moore talked about having the proper motivation and also gave credit to his nutritionist/strength coach Kerry Kayes, saying he felt physically stronger. 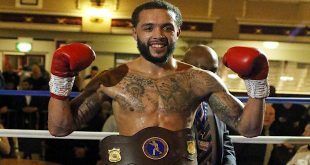 “I’m well ready for a world title shot now - bring it on!,” said an ecstatic Moore.